Actual 3 PR6 Page Backlinks Not the Domain PR! Your Back link will be Do Follow and in the form of a blog comment!! I will make sure your backlinks is on a page comments,to keep the value of the link high. After the recent Google Panda Update, its more about the 'quality' of the link, not about 'how many'. I see people buying thousands of profile links,but those days are over. Buy a link that actually going to improve your SEO ! 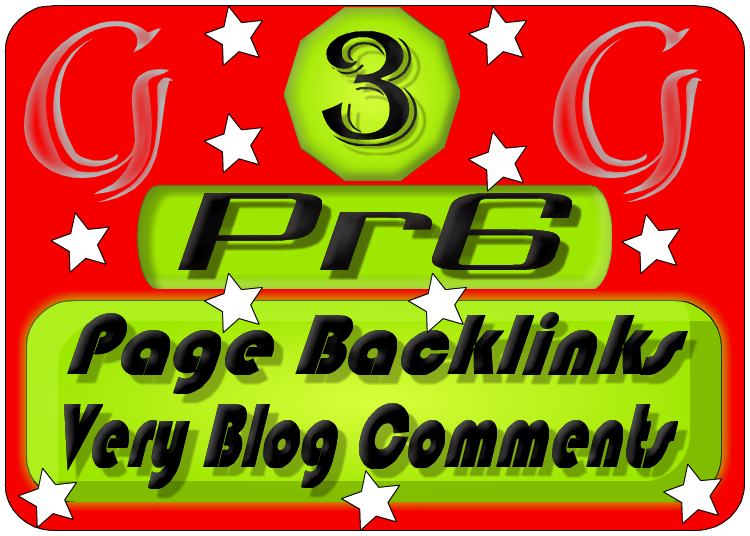 Creat Actual 3 PR6 Page Backlink Blog Comments is ranked 5 out of 5. Based on 9 user reviews.